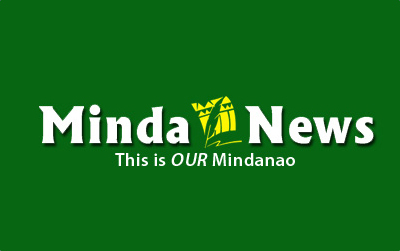 MALAYBALAY CITY (MindaNews/05 January) – It is not the fault of President Aquino and the majority coalition in the House of Representatives that Supreme Court Chief Justice Renato Corona has been impeached. The mess that the chief magistrate now finds himself in is the fruit of former president Gloria Macapagal-Arroyo’s insistence on appointing him at a time expressly prohibited by the Constitution. Coming from an unpopular president who had committed one grave misdeed after another, the appointment can only be interpreted is not simply an act to fill a vacancy but a scheme to cover her tracks upon her exit from Malacanang. That Corona served as Arroyo’s legal counsel and chief of staff only serves to validate accusations that his appointment was motivated by the ex-president’s desire to shield herself from the court cases that have been filed and will be filed against her. His critics said the Chief Justice has shown his pro-Arroyo bias by the Court’s speedy, favorable action on her petition for a temporary restraining order on the hold departure order of the Department of Justice barring her from leaving the country. The only way to prevent a future similar scenario, they argued, is to subject him to a process provided by the Constitution – impeachment – and secure a guilty verdict therein. But what exactly has Corona done that may be considered impeachable offenses under the Constitution? The impeachment complaint submitted to the Senate contains eight articles citing specific acts which are allegedly tantamount to betrayal of public trust, culpable violations of the Constitution, and graft and corruption. At the moment, however, there is no consensus on what offenses are impeachable. What exactly are “high crimes” and “betrayal of public trust,” for example? The political nature of the acts alleged under these offenses enslaves them to the force of public opinion on which the House, the institution granted with the exclusive power to initiate impeachment proceedings, leans on. If the House says a certain act is impeachable, the rest can only say Amen. It does not necessarily mean a total deviation from the rigid standards of a judicial proceeding in that the House, in the process of deciding on an impeachment complaint, decides based on evidence. In the case against Corona, the evidence draws largely from the perceived implications of his acts as Chief Justice on the integrity of the Judiciary, especially as it relates to the graft cases against his benefactor.